Car polish on plastic headlights? 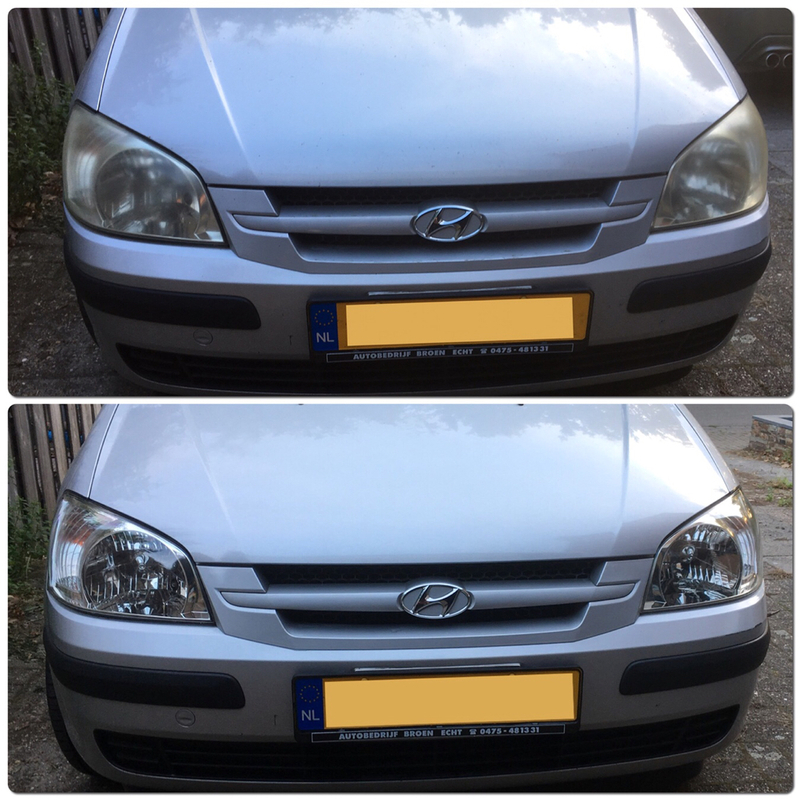 I clean my headlights with AoutGlym Fast Glass and the result is quite acceptable. The guy next door cleans his with car polish,. His headlights look good, crystal clear and shinny so I was tempted to polish mine but I wonder about the long term effect. Is car polish good or detrimental for headlights? 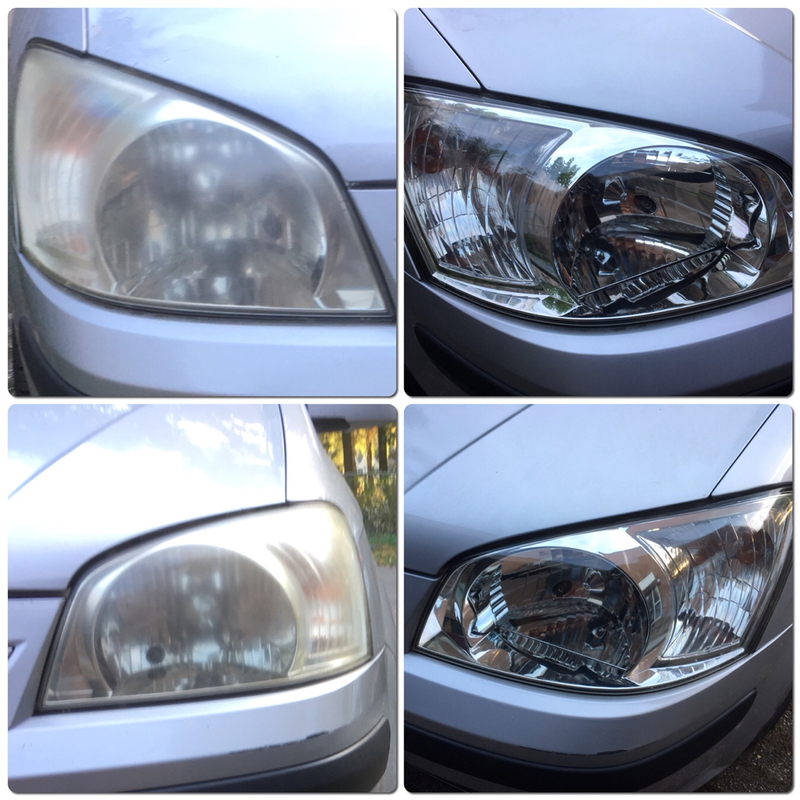 Re: Car polish on plastic headlights? I have used auto glym super resin polish on headlights for many years and it keeps them in good shape. The clouding of plastic is a combination of environmental pollution ( petrol and diesel fumes ), ultraviolet light from the sun and heat ( and maybe some UV as well ) from filament headlight bulbs. The autoglym cleans off the film of pollution and leaves a layer of sunblock behind, and our cars now have LED headlight bulbs reducing the heat by 90% ( downside is they don't melt ice and snow off the lenses ). If you lights are cloudy use fenwicks caravan window cleaner ( from Halfords or t'internet ). I think you'll be OK with car polish - especially something like Autoglym Super Resin Polish as recommended by Culzean. I have seen a number of videos of people trying to restore cloudy headlight lenses and the stuff they use (seems to be a form of wet sanding) is vastly more aggressive. This is one of those cases where a gram of prevention is worth a tonne of cure. About once a month I treat the headlights with autoglym super resin polish and they still look like new ( Civic is 7 years old now). All that stuff with sandpaper and aggressive chemicals is no good for the plastic, bit like the stable door and the horse - there is a layer of UV protection applied to the lenses when they are made ( and once it is removed by aggressive treatments the plastic will deteriorate even faster ), regular treatment with something like super resin will keep the layer intact and the lenses clear. Yes - I remember thinking when I saw a You Tube video of somebody restoring headlights on an ancient Astra (as part of a bigger restoration) using wet sanding that it went against the grain somewhat. I mean you wouldn't wet sand windows! I used to repair acrylic glider canopies where having clear vision is vitally important and used Micromesh to do it. Basically finer and finer abrasive sheets applications, which if done correctly, when liquid polish is used, the repair is effectively invisible under normal viewing. If you looked really closely, you'd see that all that had happened was that the scratches etc had become finer and finer, until the polish filled in the really fine troughs. I too have seen these sanding vids. I think it is a short term fix and not a solution. It seems to me that sanding simply removes a layer of discolouration. Polishing them, as suggested, slows down the process which I suspect is irreverseable over time anyway. I lived in Kuwait for three years and my daily journey to work in the desert was a 120 mile round trip. Sand storms were quite common and it was normal to have to replace windscreens and headlight glass every year because of the sandblasting. Strangely enough apart from going dull the paintwork didn't seem to suffer too much. I ran an American car, a Dodge Monaco. This was in the early 80's. If you can protect them before the damage is done then resin or wax polish will help to protect them, once the damage is done you will need something lightly abrasive or some chemical solution to clean them up followed by a resin or wax polish to protect them again. I cleaned the damage off mine using Mer polish which has a very light abrasive in it, like a finer, less aggressive version of T-cut, and then resin polish afterwards to protect it. I tried toothpaste (YouTube videos show this) but it didn't touch it, also heard of people using Autosol metal polish. Best to protect them first, less hassle and less risky than trying to restore the damage later, all my previous cars had glass headlights so it wasn't an issue I was aware of till it was too late. Yes - it seems to be more of a problem these days - not had it on any of my recent cars but they have all been relatively low mileage and not very old. I think I might pay a bit more attention on a "prevention is better than cure" basis. You can buy it direct from the company or search on line. For use on plastic h lamps not glass. When you do nothing, weather (UV) will eventually damage the protection the manufacturer put on the headlights. Preventing can with wax, sealant, anything with UV protection in it. I put a 6 months sealant on it twice a year. A few weeks ago i polished and protected the headlights from a neighbors car. This car’s headlights were never polished or protected in its life. That looks impressive. Well done.